Spring Greetings Patients and Dental Friends! We just celebrated Dr. Melissa Spaulding’s 1-year anniversary in the practice and are very excited to announce her increased scheduling availability as she is now in the practice every Monday and Wednesday. Dr. Spaulding recently took some advanced courses on dental composite in the esthetic zone and has become involved in a dental study club with fifteen other local dentists. She and her husband recently planted roots in the harbor and are becoming more involved in the local community. Dr. Hansen just returned from a week of continuing education Northern Italy with some of the world’s most elite dentists/specialists. The topics presented ranged from research on ceramic implants, to biomechanics of implant-restoration connections, to orthodontic treatment of periodontal compromised patients. The time spent learning was incredibly valuable and was balanced with some fun skiing and exploring. For those of you who don’t know the “pup in the pic”, this is Oakley our yellow labrador and team mascot. All of us here at H&A (including Oakley) are very anxious for some warmer, drier weather. 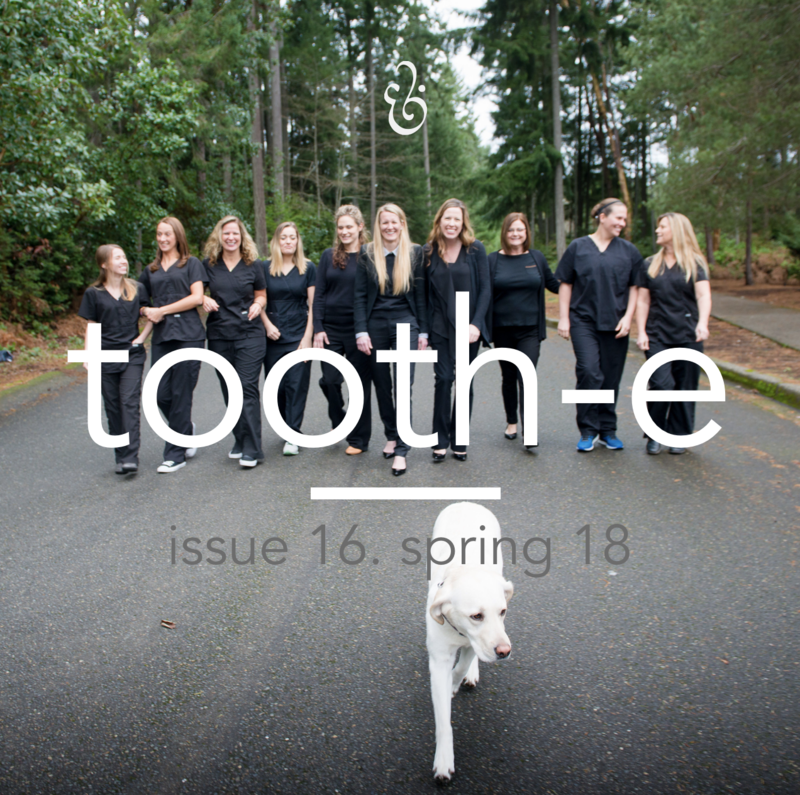 Stay healthy and enjoy this issue of tooth-e. We look forward to seeing you again soon. What's happening in Gig Harbor this spring? ... follow this LINK to find out!